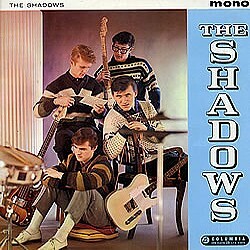 Santo & Johnny’s US chart-topper of 1959 has stayed the course, and in fact was already regarded as one of the greats by aspiring guitarists when, in April 1961, The Shadows came to record ‘Sleepwalk’ for the penultimate track on their debut LP: and what a ravishing piece it turned out to be in Hank’s capable hands, with some notably dexterous use of that tremolo-arm! 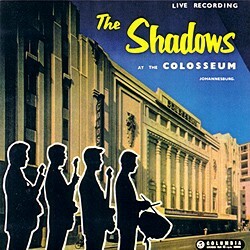 Their slightly earlier live version recorded for the South African market (it came to the attention of relatively few British fans at the time) had a bit more zip, as stage performances from both groups regularly have done across the board – particularly in the case of The Ventures (to put the point mildly). 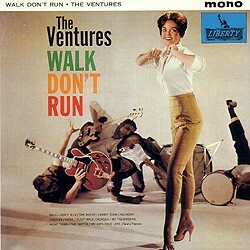 One of the groups who had already turned their attention to the number was The Ventures on their debut LP. Their carefully measured version, aided rather than hampered by the dry acoustic, makes a pretty good job of capturing the alluring beauty of the melody, particularly in the middle-eight. The expansive, resonant soundstage of the latest re-recording on the 2000 Japanese CD V-Gold II, with a notably effective droning bassline, lends the number an air of serene dignity. 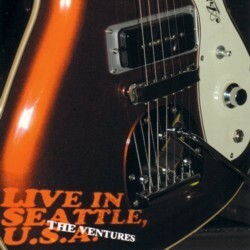 Those who cannot live without Nokie Edwards’ nimble-fingered embellishments will revel in the 2002 CD Live In Seattle rendition. 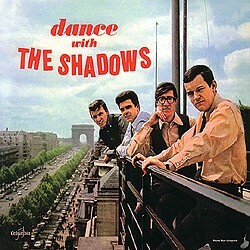 It is worth mentioning for its curiosity value the ‘Sleepwalk’ revived (?) by the stand-in Ventures in a 1972 release (see under  & ) – not so much ambulatory as comatose.